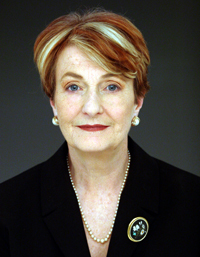 Widely regarded as one of the most articulate and passionate advocates of citizen action to remedy the nuclear and environmental crises, Dr. Caldicott has devoted the last 30 years to an international campaign to educate the public about the medical hazards of the nuclear age, and the necessary changes in human behavior to stop environmental destruction. The Prize for Cultural Freedom was established to recognize people whose extraordinary and courageous work celebrates the human right to freedom of imagination, inquiry, and expression. As defined by the foundation, cultural freedom is the right of individuals and communities to define and protect valued and diverse ways of life currently threatened by globalization. Dr. Caldicott will receive $350,000. She has announced that she will dedicate a portion of the prize money to the Nuclear Policy Research Institute, an organization she founded in 2001, which educates Americans about the profound medical, environmental, political and moral consequences of perpetuating nuclear weapons, power and waste. The institute is currently planning an international symposium called "The Impending Threat of Nuclear War," which will take place January 25-27, 2004 in Washington, D.C. According to foundation president Patrick Lannan, "Most people today believe the threat of a nuclear disaster passed with the ending of the Cold War in 1990. In fact, massive numbers of nuclear weapons remain on hair-trigger alert, proliferation continues, and powerful forces in our government are advocating the development and testing of a whole new generation of weapons." In 1971, Dr. Caldicott played a major role in Australia’s opposition to French atmospheric nuclear testing in the Pacific, and in 1975, worked with the Australian trade unions to educate their members about the medical dangers of the nuclear fuel cycle, with particular reference to uranium mining. While living in the United States from 1977 to 1986, Dr. Caldicott co-founded Physicians for Social Responsibility (PSR), an organization of 23,000 doctors committed to educating their colleagues about the dangers of nuclear power, nuclear weapons and nuclear war. She has helped start similar medical organizations in many other countries. The international umbrella group for PSR, International Physicians for the Prevention of Nuclear War, was awarded the Nobel Peace Prize in 1985. She also founded Women’s Action for Nuclear Disarmament (WAND) in the U.S. in 1980. After returning to Australia in 1987, Dr. Caldicott ran for Federal Parliament as an Independent and defeated Charles Blunt, leader of the National Party. Through preferential voting she ultimately lost the election by 600 votes out of 70,000 cast. She has written for numerous publications and has authored several books exploring nuclear and environmental issues, the most recent of which is entitled The New Nuclear Danger: George W. Bush’s Military-Industrial Complex (2002, New Press). A revised edition of this book, forthcoming from The New Press in 2004, will include a new introduction that outlines the costs of Operation Iraqi Freedom, and details the companies profiting from the war and subsequent reconstruction. Her other book titles include Nuclear Madness (1979), Missile Envy (1984, Bantam), If You Love This Planet: A Plan to Heal the Earth (1992, W.W. Norton) and A Desperate Passion: An Autobiography (1996, W.W. Norton; published as A Passionate Life in Australia by Random House). She also has been the subject of several documentary films, including Eight Minutes to Midnight, nominated for an Academy Award in 1982, and If You Love This Planet, which won the Academy Award for best documentary in 1983. Dr. Caldicott founded the Cystic Fibrosis Clinic at the Adelaide Children’s Hospital in 1975 and was an instructor in pediatrics at Harvard Medical School, specializing in cystic fibrosis, and on the staff of the Children’s Hospital Medical Center, Boston, Mass., until 1980, when she resigned to work full time on the prevention of nuclear war. She divides her time between Australia and the United States.